Xmas is coming remember 1973? Re: Xmas is coming remember 1973? I worked in Halfords Burton on Trent part-time after school then. Sold lots of that stuff. The range was pretty good then, even sold exchange car engines like Ford X-flow and BMC A series. Many people did their own engine changes. 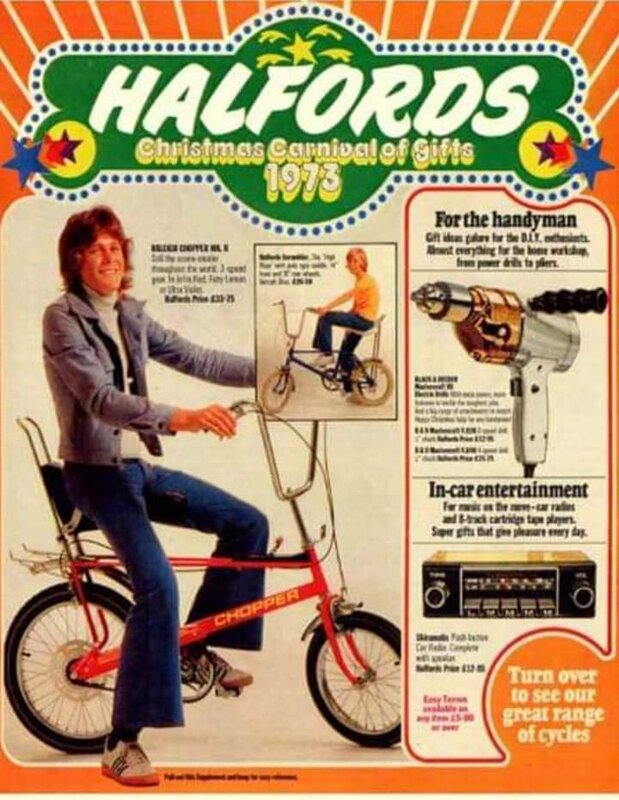 I rekon Halfords made most on pushbikes then though, mostly Raleigh (made in Nottingham). I had a 5 speed purpley pinky colour one, had it until the late 90s or was it early 90s when some toe rag stole it, that would be worth some money today.